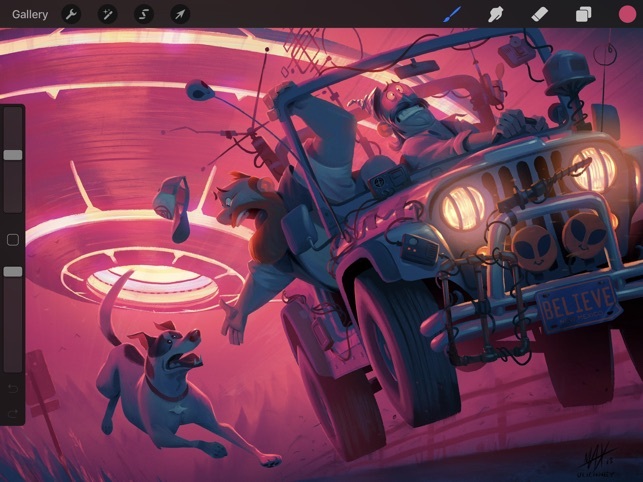 Procreate lets you generate high-caliber artwork at a blistering pace using a robust layering system, stunning filters, and thousands of importable brushes. 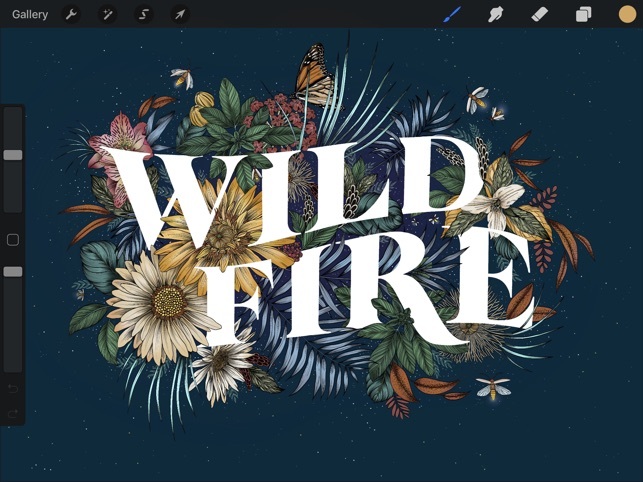 Plus, Savage Interactive’s super-intuitive app supports pressure sensitivity and Apple Pencil—as well as iCloud Drive and a seamless video recording of each brushstroke—so sharing your work is incredibly simple. 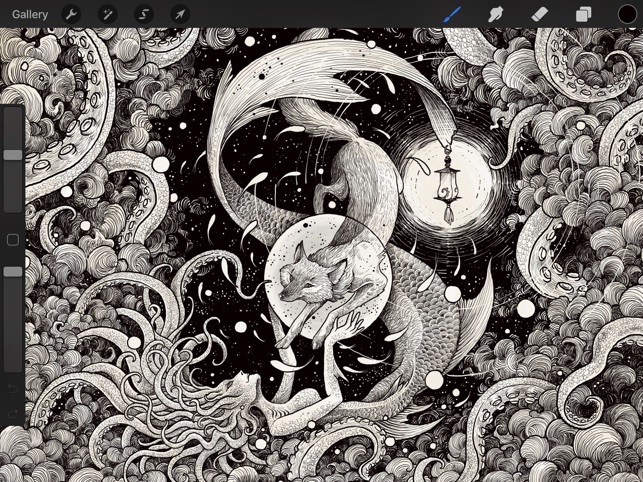 I love Procreate so much, having a iPad Pro with a Apple Pencil works so well with this app, the price is worth buying it. Tbh I stop using my laptop for drawing since the drawing and painting feels so natural and smooth though sometimes when I try to use the short cuts it won’t work other than that it’s works like a charm. There are some things that could be worked on, color picking a color from a reference or from the color wheel isn’t the exactly what it should look like while painting with it, it’s a little bit off, though It’s not noticeable at first (it’s not a big problem at all it just something I’ve noticed while using Procreate over the years) and now the blending tool, the blending tool can be really good but sometimes the blending tool can be frustrating to work with and sometimes while blending it makes the color muddy or won’t give a nice type a texture, I know sometimes it can be what brush you use for the blending tool. It would be nice to get a better version of it, also it might be a bug or something but when I leave a painting and go back I lose some of the progress of the painting and I haft to redo what I’ve already done. 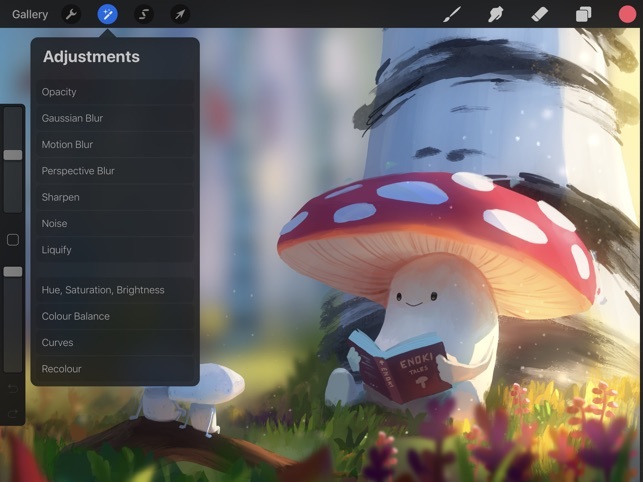 Other than those small details this is the best app for everyone it’s easy to use, you can create masterpieces with it, I wouldn’t go to another drawing app, I would say THIS is a app that you should try out. Everyone from 3 to 90 years old can use this app. It’s the best app out there just get it try it out !!!!!! Hi JillyBean91334 - Thanks for the rating and for bringing these points to our attention! 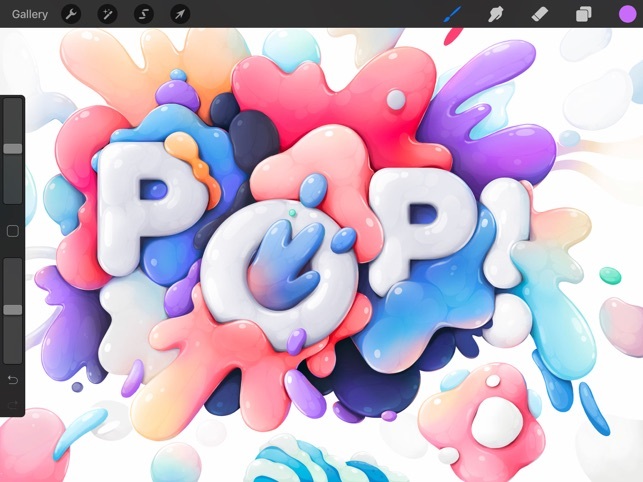 When using the Eyedropper tool, it can take into account the colour input from other layers, so this could be why you're noticing the colour deviation. Also, if you'd like some help with this Smudge Tool trouble, we'd be more than happy to offer assistance. 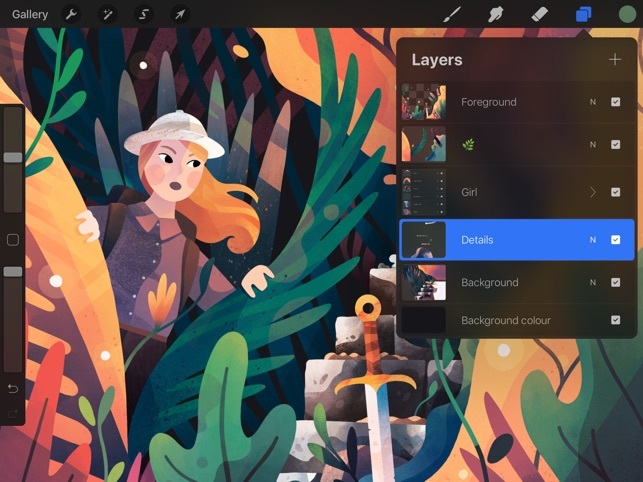 Simply email support@procreate.art with the details and we'll jump in and assist. I love this app and it has made digital art so easy for me, and I’m thrilled to see the addition of clipping masks and shape tools! One thing I think is an absolute necessity for the next update, however, is a reworking of how the fill bucket tool functions. Other (free) programs such as medibangpaint that I’ve used have capabilities like expanding fill bucket selection without having to use the select tool, and the fill bucket taking all marks into consideration, regardless of layers, when making its fill. The ‘reference’ setting has proved to be inconvenient at best. Also, having to drag the color swatch from the top right corner is cumbersome. 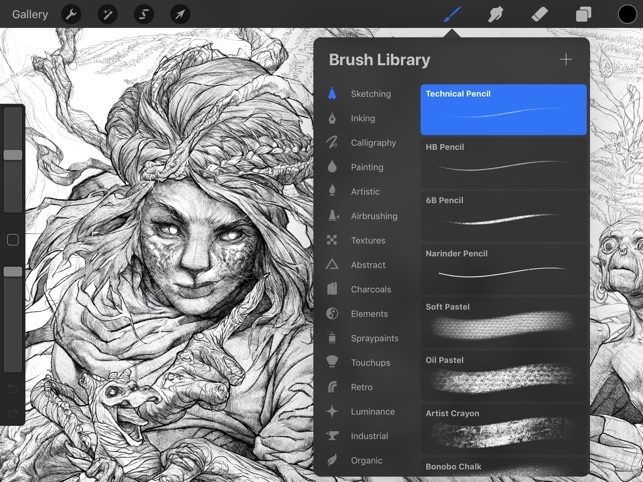 Fill should be its own tool like drawing and erasing. Honestly, I just want to see the fill bucket function like it does in EVERY other art program I’ve used. Another thing to note, many programs have the very useful feature of allowing you to have reference images in a separate window on the screen, so you can see them no matter where you are on the canvas. Would love to see this integrated. And, a final request, please make blending tools stop picking up colors from outside your selected area when you blend. I use the selection tool,,,, so the brush doesn’t interact with things outside the selection,, why do blending brushes pick up things from outside the selection and drag them into your selection,, That said, thank you for making such a fantastic art program accessible at such a low cost! Hi mondepurple - Thanks for your detailed feedback! 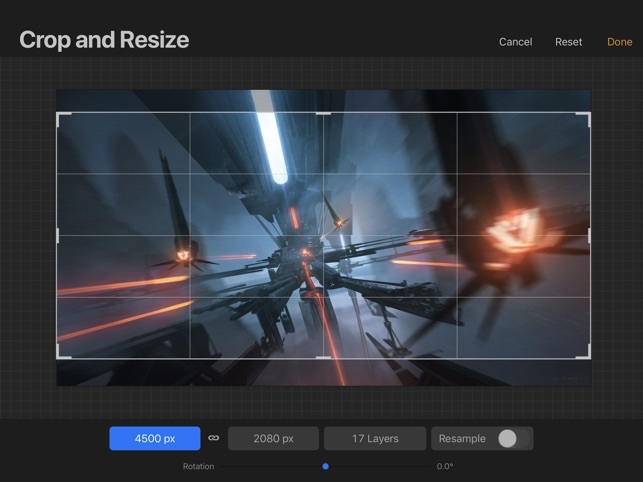 We're always happy to hear about how we could improve things, and your ideas can be taken into consideration as we move forward with Procreate.